Bob proved himself to be the consummate host I knew he would be. 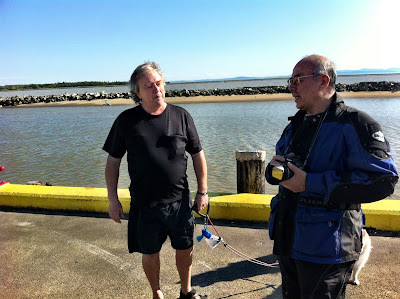 Having already made plans worthy of a seasoned travel guide, all carefully mapped out to make the most of my too-short visit, Bob relentlessy, yet ever so gently squeezed more time into the plan, and managed to fit more fun in. I would soon learn that the key to Bob's planning was to send me text messages suggesting I meet up with him earlier than originally planned. On Friday, the plan was to meet up at RideAwayMotors and then ride to the Richmond Summer Night Market. Bob managed to squeeze more time into our tight budget by leaving work early, and suggesting that I meet him at his home rather than him meeting me at the hotel. Getting there was a piece of cake. Bob suggested a route that was both direct, and safe, making use of intersections with priority left turns. Very thoughtful. 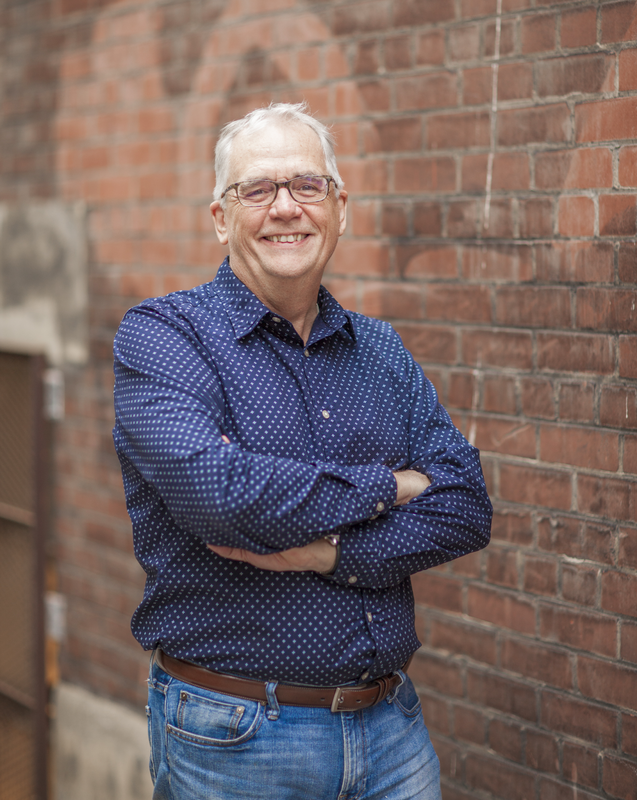 After giving me a tour of the massive renovation underway in his back yard, we set out heading south on Granville. We went past Richmond and were soon headed west. Bob was using that extra time he worked into the budget to show me some scenery. 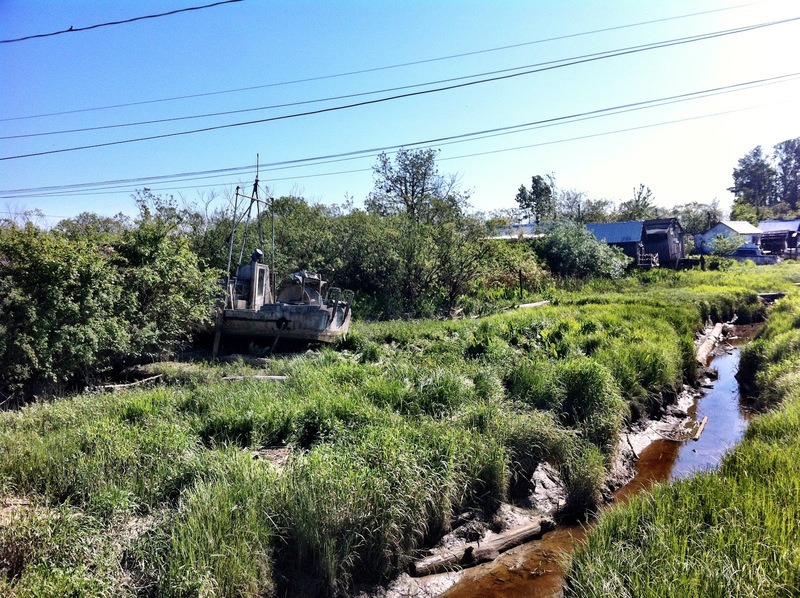 Once we got closer to the water, the landscape went from totally alien to strangely familiar. 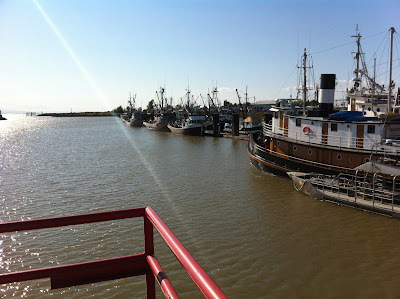 We were headed to Steveston. I felt like I was somehow magically transported into one after another of Bob's blog posts. "I know this winding road..." I thought silently in the intimacy of my helmet. And I did know it, because I had seen it on Bob's blog. I found myself following Bob on his Suzuki V-Strom along a stretch of road I had previously seen from the perspective of Bob's GoPro camera. So weird. So cool. So wonderful. Quite literally wonder full. 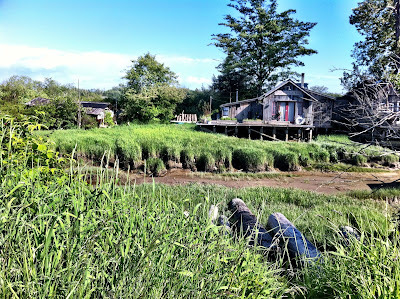 Our first stop was the strange little community that sits on a tiny tidal inlet off Dyke Road. This place is so charming that it seems unreal, as if it was built by a Hollywood production company for a movie set. After taking in this idyllic scene and snapping a bunch of pictures, it was time to shove off and move on, to the Steveston harbour. 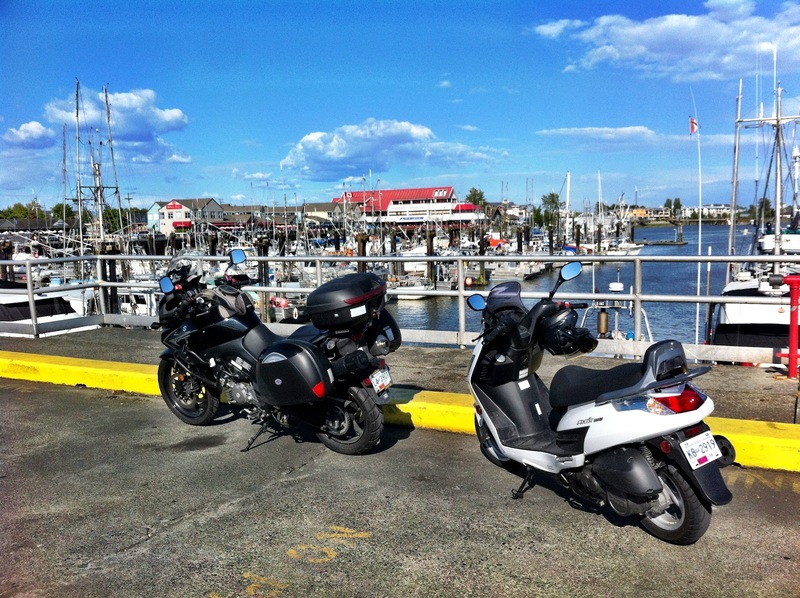 We parked our bikes on the pier to take in the view. This is where we met Aimé Groleau. It seems to be my fate, no matter where I go, no matter how seemingly remote the place may be, that the first person I meet is a Quebecker. Today proved to be true to form. Aimé stopped to admire Bob's Suzuki. He was walking his dogs. Turns out that Aimé was at one time a Canadian champion dirt bike racer. Number three in the country. He's a retired steeplejack from Gatineau , the town on the Quebec side of the river opposite Ottawa. Chatting is nice. 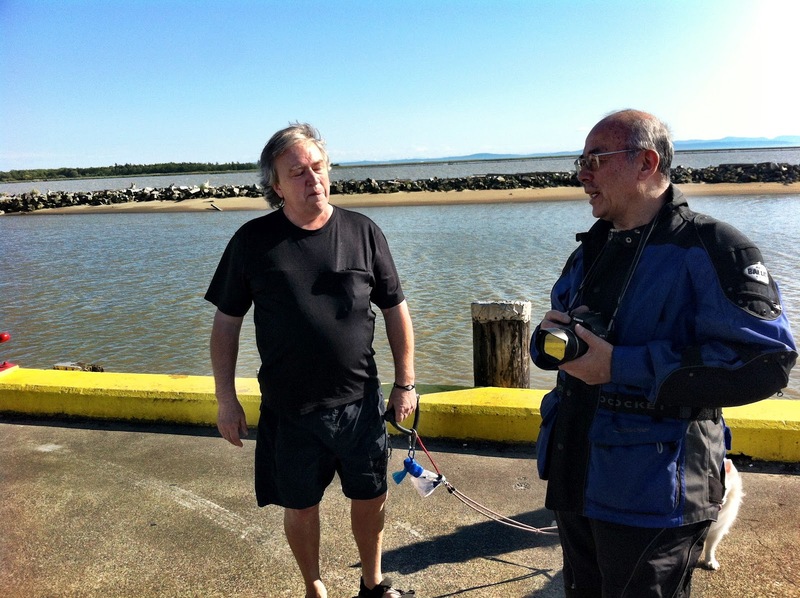 We hadn't even scratched the surface of picturesque Steveston, but Bob soon reminded me that there places to go, and people to see. We said our farewells to Aimé, fired up the bikes and headed on down the road, bound for RideAwayMotors and the evening's festivities. That sounds like Bob, the host with the most and he is a fantastic tour guide. He packs more into a weekend than most of us do all week; we usually switch to caffeinated coffee just to keep up with him. Glad you are enjoying yourself, we always do with Vancouver folk. What a great time. Bobskoot is a great person to play tour guide as he knows all the cool spots. I am looking forward to hearing about the Richmond Night Market. I have seen it often enough in Bob's posts but it would be neat to have a new perspective. And Troubadour is correct, we do need extra caffeine to keep up with Bob. Where does he get his energy from? You really picked the best days for your sojourn. 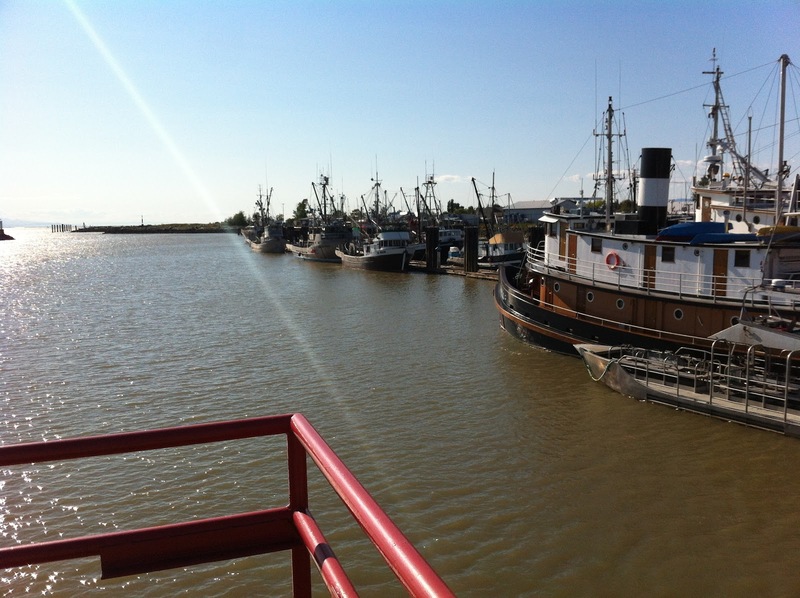 We are often in Steveston just for fish and chips and the vista (even consider moving there one day...). It looks like you had a wonderful time! Vancouver Bloggers Rock & Roll! Welcome to the wet coast, welcome to paradise! Visiting L.A. has its perks!